* Note: this custom table is usually available to ship within 4-5 weeks. 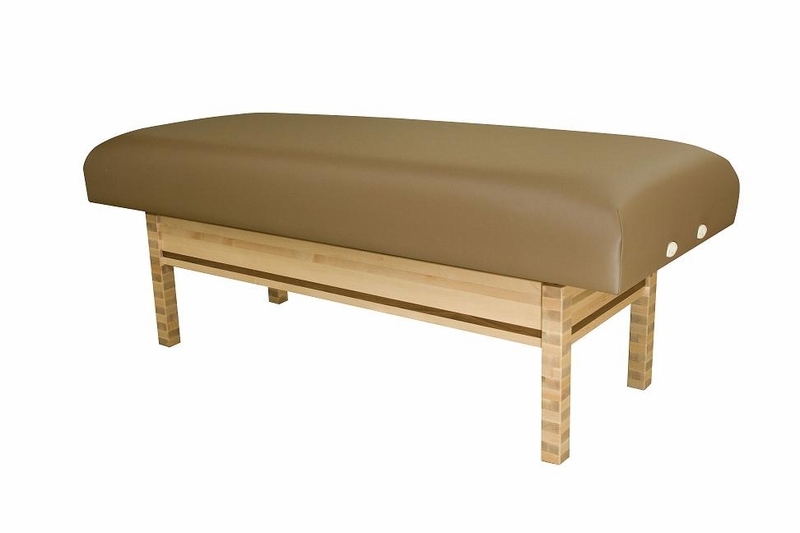 When a client lays down on the Oakworks' Clodagh Virgo Massge Table from Massage Tools, they will be sliding into a zone of complete luxury and relaxation. The plush padding and upholstery is absolutely sensuous and clients will ultimately enjoy every moment of the experience. Clodagh Virgo's stylish design is ideal for high-end spas and resorts. Its design may appear simple. However, in actuality it is the utmost in sophistication that will suit any d�cor. 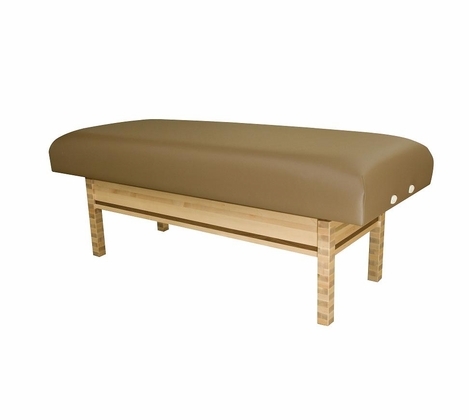 While the legs and base remain stationary, the table top can be adjusted as high as 34 inches and as low as 24 inches. Savor the elegance of the Clodagh Virgo. � Adjustable height range 24"-34"